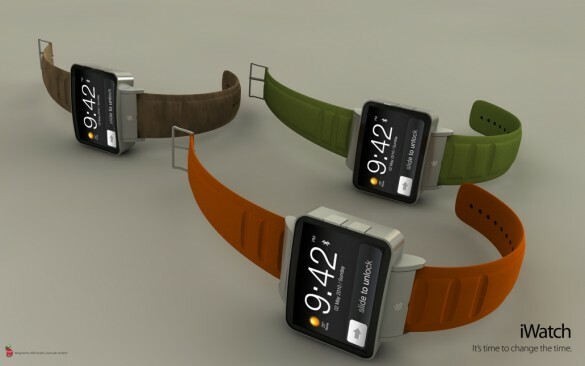 ADR Studio’s iWatch concept takes form in a rectangular casing made of aluminum, with various color choices of thick wrist straps. 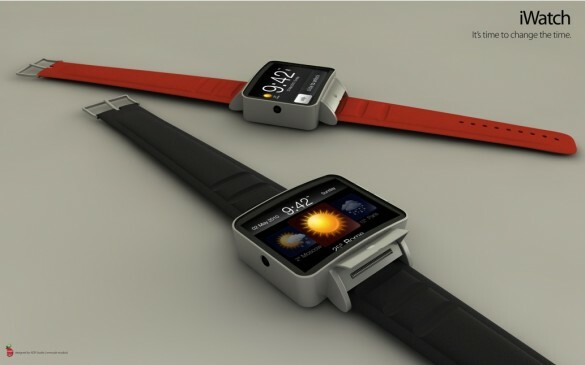 The watch has 16GB of internal storage and connects to the iPhone or iPad by either Wi-Fi or Bluetooth. 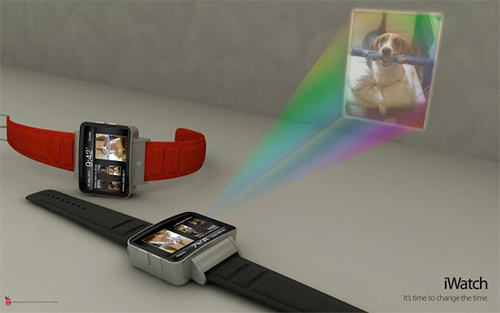 It can answer calls via iPhone, or display RSS feeds, weather or photos. It even has a built-in projector for viewing photos and video on the wall. I suppose this watch concept by ADR Studio is a cool idea, but would quickly lose its coolness quotient as soon as it hit a real wrist. First off, we all know that iPhones are on the heavy side for a mobile phone, and I don’t think this smart-watch would be any different in weight to size ratio. 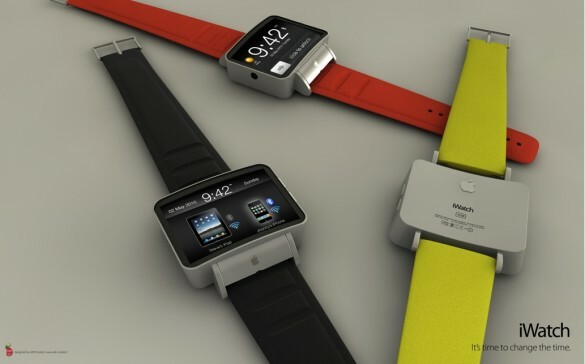 Due to the heaviness of such a watch, your watch arm would become stronger than the other. Secondly, it’s not that stylish. Can you imagine all the professionals, business people and style mavens who own Apple products wearing a watch that looked like that? And lastly, how many different smart devices do we need to carry on our person? 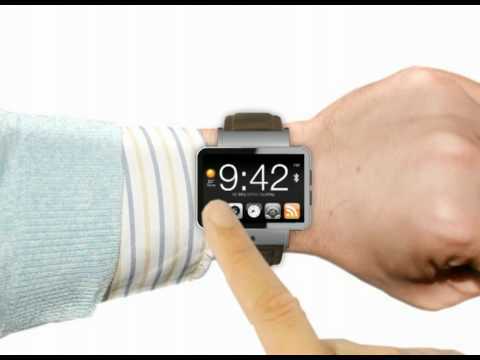 You’ve got your iWatch connected to your iPhone, your iPhone synched up with your iPad, your iPad sending information to your iWatch….it’s starting to sound like one of those children’s songs to help learn anatomy rather than a way to simplify your life. So, yes, this watch is interesting. Yes, this watch can do many things. And yes, gold stars will be given out tomorrow. 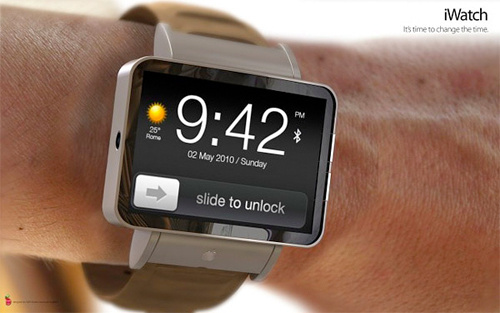 The bottom line is, most people don’t even wear watches anymore–they can tell time on their iPhones, iPods, iBooks and iPads. 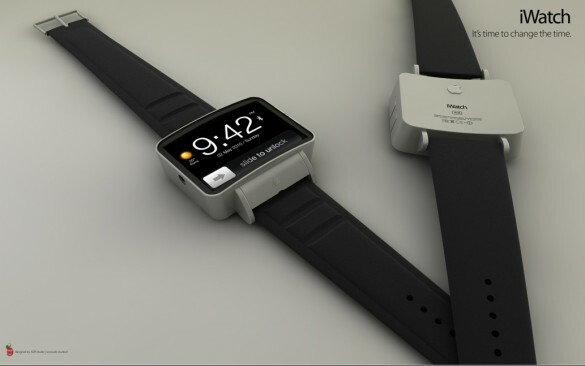 So for this innovative concept to have a chance in hell getting off the ground, they’d first have to bring back an old concept…telling time on your wrist. Excellent information. Nice piece of info, I absolutely enjoy reading your post. I admire your blog , it’s filled of lot of information. You just got a perennial visitor of this site! I have been examinating out many of your articles and it’s nice stuff. I will surely bookmark your blog. Very efficiently written story. It will be supportive to everyone who usess it, as well as yours truly :). Keep doing what you are doing – looking forward to more posts. Hello.This article was really motivating, particularly since I was browsing for thoughts on this matter last Tuesday. Exactly what I was looking for. I’m using this in my next blog post, you’ll get a backlink of course. You made several fine points there. I did a search on the subject matter and found the majority of persons will go along with with your blog. Nice comment will need to, you’d put significantly effort and effort involved with it I will tell! Your present internet page incredibly excellent additionally. How a lot does notion take a person assemble web-site roughly where truly appropriate this moment? A interesting post right there mate ! Cheers for that ! It is rare to find writers who are able to present this type of information in a clear manner like you do. I really enjoyed the article. It’s always nice when you read something that is not only informative but entertaining. Awesome. I’m still learning from you, as I’m making my way to the top as well. I absolutely enjoy reading everything that is written on your site.Keep the tips coming. I loved it! I believe your weblog is nice! I found it on Google this morning. I believe I will come back another day, thank you. Oh my goodness! It’s like you read my mind! You seem to know so much about this, like you wrote the book in it or something. I think that you could do with some pictures to drive the message home a bit, besides that, this is outstanding blog post. A good read. I’ll certainly be back. Thanks for one more excellent post. Keep up the good work. You made various nice points there. I did a search on the theme and found nearly all people will have the same opinion with your blog. We are a group of volunteers and starting a new scheme in our community. Your post provided us with valuable information to work on|.You have done a great job! A near friend is better than a far-dwelling kinsman. Thanks for the awesome page – I loved reading it! Very well written story. It will be supportive to everyone who utilizes it, as well as myself. Keep doing what you are doing – can’r wait to read more posts. I used to be very happy to seek out this internet-site. I wanted to thanks for your time for this glorious learn!! I have you bookmarked to check out new stuff you weblog post.